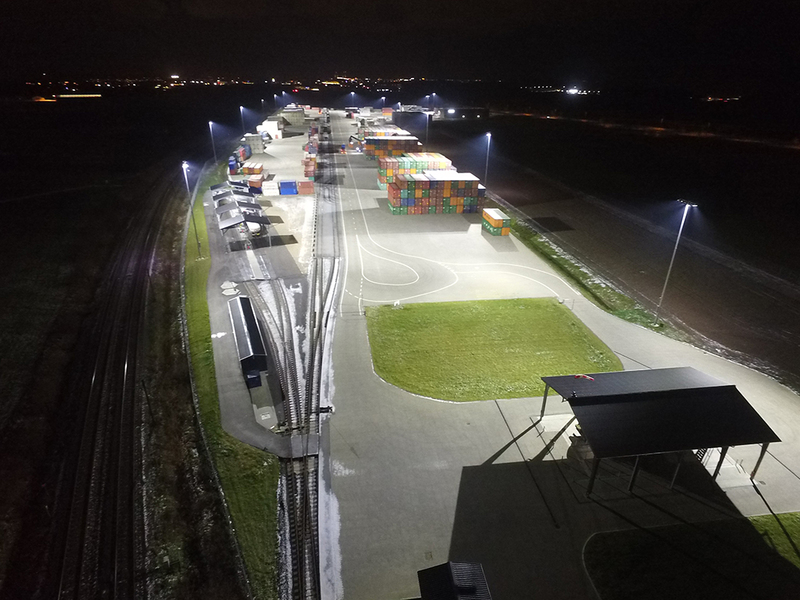 A state-of-the-art LED system installed at the Taulov Intermodal Facility meets a wide range of lighting needs at the terminal, while also offering significant cost and energy savings. 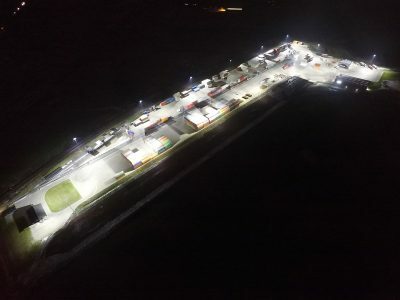 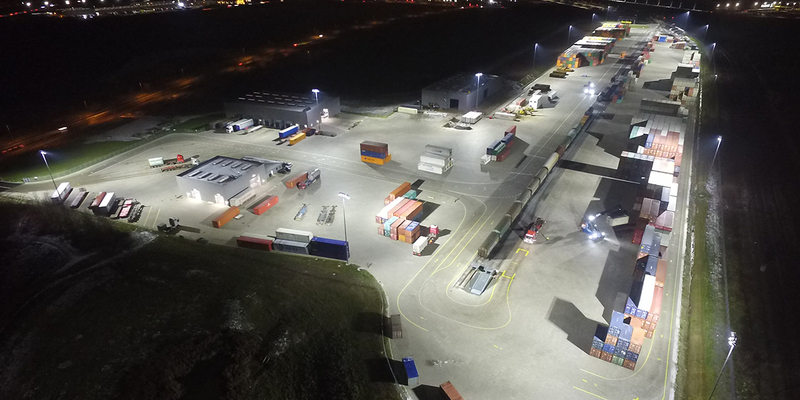 Taulov needed a solution that would provide high-quality lighting with uniform distribution, minimize the number of poles, maximize operating space around the poles, and have dimming capabilities to help conserve energy. Fredericia Shipping A/S, which operates the facility, also wanted to reduce operating costs. 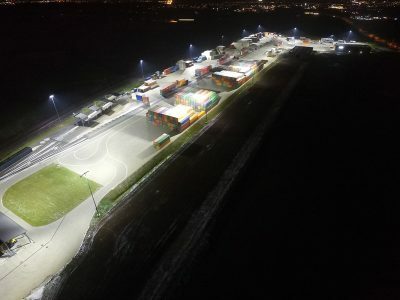 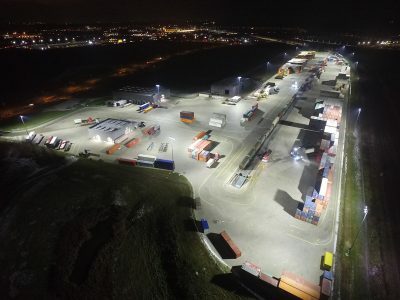 After conducting extensive research and exploring a wide range of options, Fredericia Shipping determined that an LED solution would best meet its lighting needs at the Taulov Terminal. 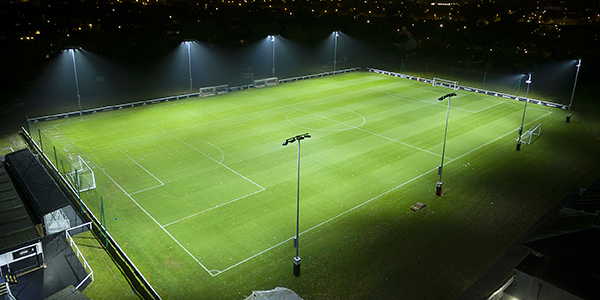 Project leaders chose to partner with Musco Lighting with its Total Light Control—TLC for LED® technology. 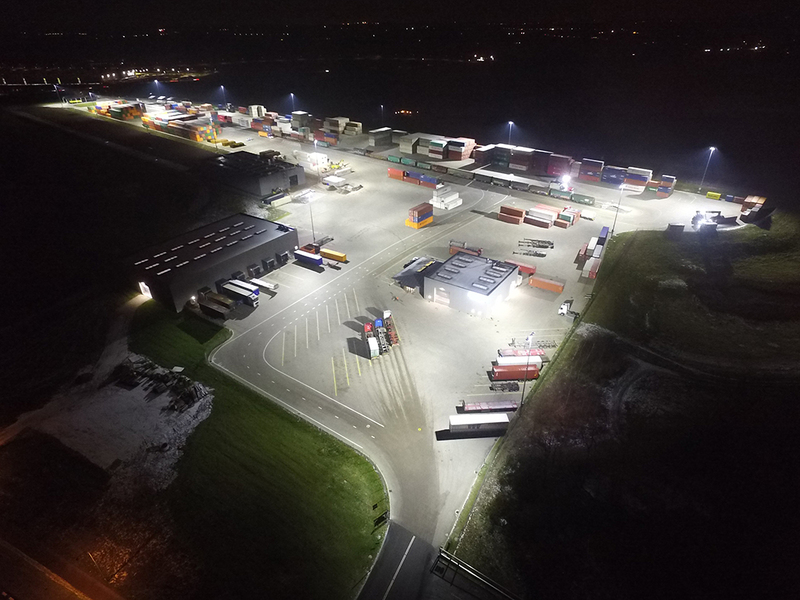 Additionally, dimming controls provide Fredericia Shipping the ability to dim the lighting when full power of the system is not needed. 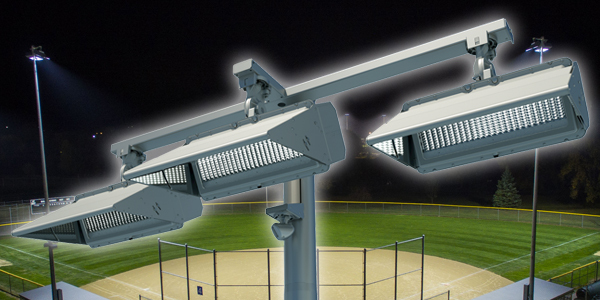 The reduced energy consumption and elimination of maintenance costs will result in a 10-year savings of more than $678,000.